In 2016 we support Podari Zhizn charity (Gift for Life) in their work with children suffering from cancer. Across seven Moscow hospitals children, who are under the care of Podari Zhizn, are fighting cancer and severe blood diseases, facing a long road to recovery. 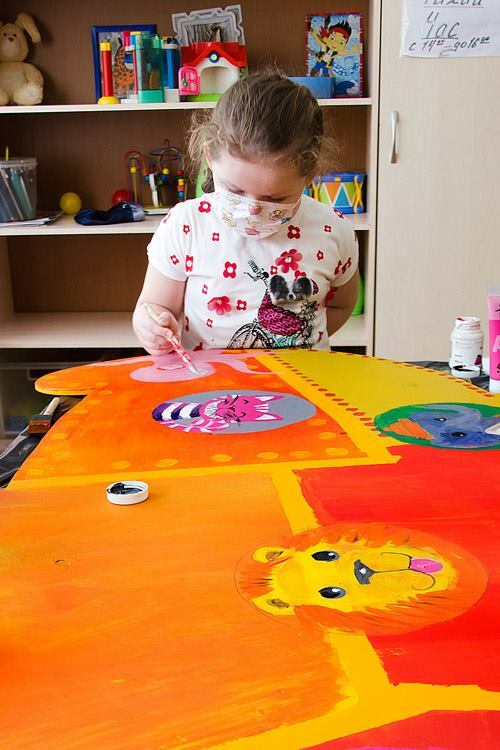 Their doctors, Podari Zhizn and ArtSocial Foundation believe that art can take the children out of the realities of the hospital, bringing positivity and colour to their lives and as a result help them fight their disease. Podari Zhizn delivered art therapy over a few months for children who are undergoing treatment for cancer, in a series of regular creative workshops. With 50% funding from ArtSocial Foundation, they put on an exhibition – held from 29 April to 25 July 2016 at the Russian State Children’s Library – with 500 works created by the children in hospitals and those who have made a full recovery. The show’s theme was “My Ark”. The word ‘ark’ evokes the legend of Noah, the sea, animals and an immense ship which became home to many creatures, taking them to a new life and safety. Every family battling a serious disease can feel like they are aboard an ark, fighting their way through the waves. Bit by bit, the disease can distance a child from their family, friends and a normal life. Inspired by the hope for new beginnings and a promised land of safety, Podari Zhizn creative project helps children to paint and craft wonderful new creations.